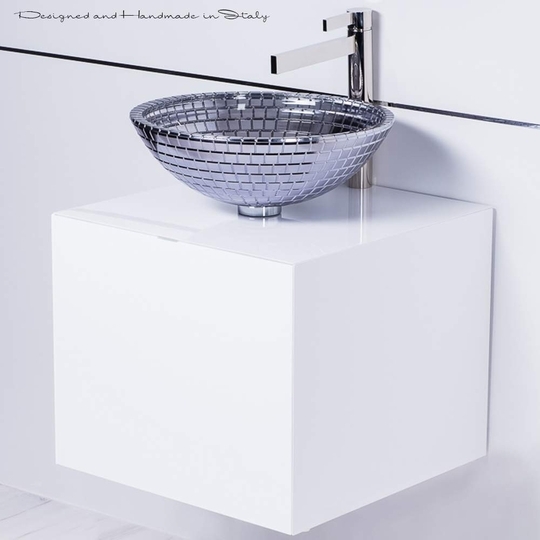 (2) Mosaic Anniversary Glass | Black Metal - Vivid with enticing elegance, the Atelier Mosaic Anniversary glass vessel-sink, is ancient in its hand-crafted Roman mosaic design, which encompasses sleek architectural detail. This luxury vessel-sink conveys a celebration of vibrancy in and around this masterpiece vessel. Mosaic Anniversary, is cutting edge with its modish features to fit most design styles, it will compliment a contemporary or transitional design style seamlessly.